Home > SEP 2018 > Free Fall in Indian Share Markets - What Should Mutual Fund Investors Do, NOW? Free Fall in Indian Share Markets - What Should Mutual Fund Investors Do, NOW? What Should Mutual Fund Investors Do, NOW? Mumbai Stock Exchange, Sensex, moved from 38896 to 34376. Dropped nearly 4600 points, i.e. 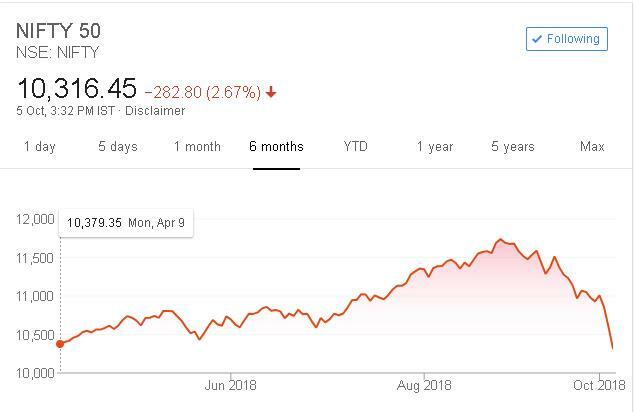 12% drop in a single month. 12% return is a dream return for most of us on the upside, but not on the downside that too in a matter of 2-3 days. Equity mutual fund and equity investors are greatly impacted by this fall. The important truth is, Debt Mutual Fund is also not doing well and has been like this for the last one year. See the graph given below. In this financial year, we are back to square one, no return. With respect to nifty, not even a single paisa return from the market since April 3 of this financial year (2018-19). On the other hand, table here shows the perceived less volatile debt fund returns are less than that of bank fixed deposits for the last one year. Most of the returns are in negative or single digits (less than 5 %) which is not even close to savings bank interest. What does this mean? It is reality that both equity market and debt market has not done very well in the last one year. 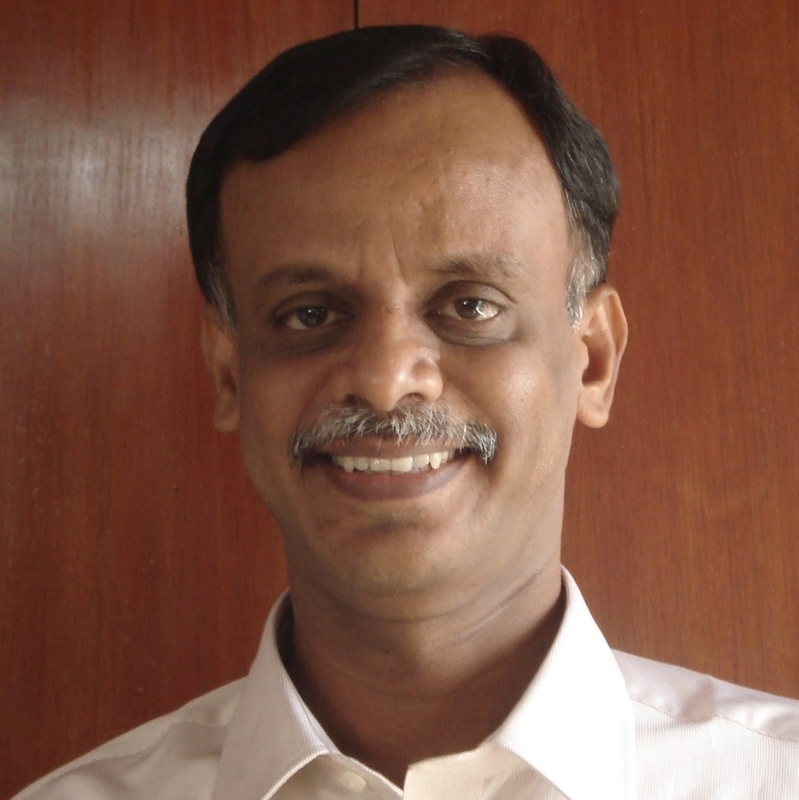 Will worrying about it solve the problem of mutual fund investments? Lets find out. There could be lots of first-time investors who recently entered the mutual fund space and maybe this is their first time to see a double digit fall (12%) in the markets. Naturally this shock would be very severe for them. But they should be patient. It’s part of the game. Markets going up or down is common in the history of BSE over the years. Falling 65% and recovering 130% have been etched in stones many times before. The table below gives SIP returns for last 1 year – as expected most of them are not good. So, what should we do with this SIP? Read on to know more and learn how to stay cool and add to your investments when others are selling in distress or fear or both. What should we as Mutual fund investors do in this scenario? First and foremost, investor should not stop SIP even though last 1 year SIP returns are negligible and they are sitting in loss in your portfolio. The concept of SIP is we continue to purchase units both in the low market as well as in the high market. For example, accumulation of mutual fund units via SIP in three months with different NAV of 10, 12 and 8 is as follows – 2000/10 = 200 units, 2000/12 = 167 units and 2000/8 = 250 units. When the market falls NAV is low, and we get more units, which is beneficial. When the market recovers back from the slump, for more units accumulated, our portfolio will go up. By stopping SIP, we are defeating the concept of SIP. Hence, no SIP investor should panic about the current return of SIP and stop SIP. In the current scenario, it is really a good time to add mutual funds and continue SIP. Really, we do not know whether the markets will slump further or reverse its current form. One school of thought, nifty may again go to 4 digits, i.e. below 10000. Every analyst will have some view or other in this and no one can predict the bottom-line. But the fact is, significant correction has already happened and let us add equity mutual funds in more instalments. Whenever market goes down, it is very difficult to predict the extent of fall. But whenever there is panic, and when others are selling, you should venture into it and buy more. By that logic, it is better time to add lump sum investments at frequent intervals in equity funds and if we continue to add equity funds for the next six months till the elections, it may reap good harvest. STP from debt to equity mutual funds..! If you already have debt investments, it is better to transfer some money from debt to equity. This could be the right time and opportunity for moving into equity via instalments through STP. The next big headache that is bigger than market fall is, how to choose the right equity funds for investments now. 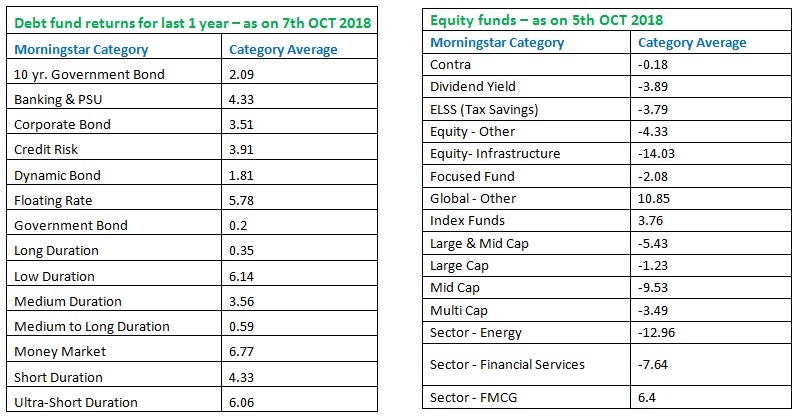 The fall in different category of funds are in varying orders and that is the way it used to be. Mid and small caps fall greater than large caps but gives more returns than large caps when the going is good. We should bet on multi cap funds over large cap funds. We should consider diversified funds over sector funds. Someone would wish to buy the most beaten sector in the hope of recovery. Banking and financials funds are for risky investor and not for all. Do not see the portfolio value every alternate day and increase your blood pressure value. At any cost don't get into panic mode and don't give up your hope. Whenever market falls, remember that whatever goes down must come up. We will have to wait and see if it goes up now or in 1 year or later. But it is not the time for selling and it is the time for periodic buying for the next 6 months.